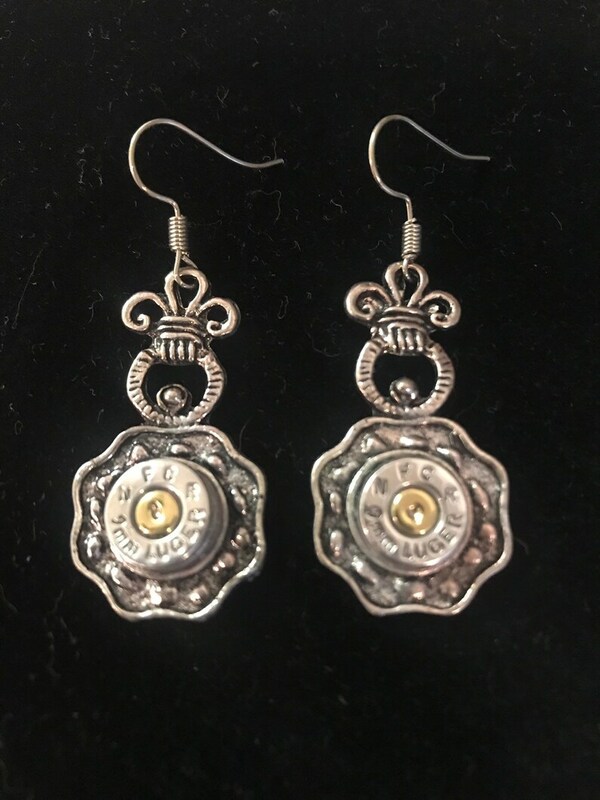 9mm bullet shell casing earrings set in a silver tone pineapple design. Items are available with or without crystals on the primer (center of bullet). Please select color of crystal or put birthday month in notes to seller section if you want crystals added.